The deal between the White House and congressional Republicans includes changes to the cost-of-living formula that amount to needless cuts for seniors. Obama, the reports say, will now settle for as little as $1.2 trillion in tax increases on the rich rather than the $1.6 trillion that he had originally sought. The difference, in effect, will come out of the pockets of workers, retirees, the young, and the poor. Especially foolish is the cut in Social Security benefits, disguised as a change in the cost-of-living adjustment formula. Before getting to the arcane details of the formula, here’s the bottom line. The proposed change will save only $122 billion over ten years, but it will significantly cut benefits for the elderly. Our leaders in Washington heard from the voters last month. They may need to hear from them again. According to news reports a budget deal is coalescing around some very unattractive and unwise ideas. The deal’s centerpiece is reportedly the “chained CPI,” a back-door tool for gutting Social Security benefits that also raises taxes on all levels of income — all levels, that is, except the highest. This deal would make voters very unhappy. It reflects neither their wishes, their needs, or their values. They’ve already said so — to pollsters like ours and in the voting booth on Election Day. Instead of responding, this looks like another “insider deal” — another agreement that suggests the public’s values and concerns vanish once you cross the Beltway. Many of the good ideas, some expressed on this page this week, involve sensible limits on who can buy guns and how they can be sold. Mr. Obama should also focus on the weaponry itself, starting with restoring – after toughening – the ban on assault weapons that expired in 2004. Assault weapons are versions of military rifles that are meant to kill people, not paper targets, clay pigeons or deer. They account for only a fraction of the guns sold and used in the United States, but they play a hugely outsize role in the national slaughter; rampage killers love them. Attempts to avert the infamous “fiscal cliff” are like a super-high-stakes card game. But you have to imagine a game in which one player needs to go into a back room before he makes his bet and get the approval of a herd of rabid ferrets. That would be Speaker John Boehner. Across from him at the card table sits the president. When Barack Obama won his big Senate race in 2004, his pals in the Illinois Legislature celebrated with one last evening of poker, in which they took the senator-elect for every dollar in his wallet. So perhaps it was not surprising that in the negotiations, the president gave up quite a bit. You will remember that Obama had campaigned on keeping the Bush-era tax cuts only for the American middle class: families making $250,000 a year or less. O.K., possibly not all truly middle-class. Still, that was his line in the sand. There were long stretches this fall when tax-hike-for-over-$250,000 seemed to be his only specific plan for the next four years. But, this week, he let Boehner move the line. Pushed it up to $400,000. Plus, Obama gave way on entitlements by agreeing to change the cost-of-living adjustments on Social Security. Then, all eyes turned to the House speaker. And the rabid ferrets. Uhmm. Don’t look now, Mr. President, but you’re taking a mandate and turning it into mush. Ordinarily that might not matter much. The importance of the goings on inside the Beltway are notoriously overestimated. But as you yourself said, this election was an unusually clear and important choice between two fundamentally different views of government. And as you noted, the stakes were high. You pointed out that that the prescriptions Republicans were pushing to fix the economy were those that caused the economic collapse. And guess what? Being the only sane candidate on the issue became a political asset. Yet one week after the election, you warned progressives to be prepared for “bitter pills.” Really? Why not just tell McConnell, Bohner and the tea crazies we’re ready to fold? How are these programs being threatened? 7. Shifting costs to the states by any means, such as “federal blended rate,” etc. These concessions aren’t necessary. If the nation goes over the so-called “fiscal cliff” and tax rates return to what they were under Bill Clinton, Democrats can then introduce a tax cut for everyone earning under $250,000 and make it retroactive to the start of the year. Besides, the President’s proposed reduction in annual Social Security cost-of-living adjustments would save only $122 billion over ten years. Yet it would significantly harm the elderly. On this day in 1803, the French hand over New Orleans and Lower Louisiana to the United States. 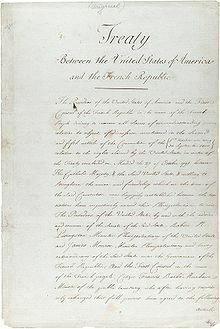 In April 1803, the United States purchased from France the 828,000 square miles that had formerly been French Louisiana. The area was divided into two territories: the northern half was Louisiana Territory, the largely unsettled (though home to many Indians) frontier section that was later explored by Lewis and Clark; and the southern Orleans Territory, which was populated by Europeans. Unlike the sprawling and largely unexplored northern territory (which eventually encompassed a dozen large states), Orleans Territory was a small, densely populated region that was like a little slice of France in the New World. With borders that roughly corresponded to the modern state of Louisiana, Orleans Territory was home to about 50,000 people, a primarily French population that had been living under the direction of a Spanish administration. The Louisiana Purchase (French: Vente de la Louisiane “Sale of Louisiana”) was the acquisition by the United States of America of 828,800 square miles (2,147,000 km2) of France’s claim to the territory of Louisiana in 1803. 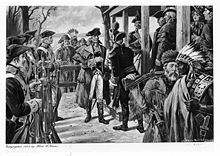 The U.S. paid 60 million francs ($11,250,000) plus cancellation of debts worth 18 million francs ($3,750,000), for a total sum of 15 million dollars for the Louisiana territory ($219 million in today’s currency). The Louisiana Purchase encompassed all or part of 14 current U.S. states and two Canadian provinces. The land purchased contained all of present-day Arkansas, Missouri, Iowa, Oklahoma, Kansas, Nebraska, parts of Minnesota that were west of the Mississippi River, most of North Dakota, nearly all of South Dakota, northeastern New Mexico, the portions of Montana, Wyoming, and Colorado east of the Continental Divide, and Louisiana west of the Mississippi River, including the city of New Orleans. (The Oklahoma Panhandle and southwestern portions of Kansas and Louisiana were still claimed by Spain at the time of the Purchase.) In addition, the Purchase contained small portions of land that would eventually become part of the Canadian provinces of Alberta and Saskatchewan. The purchase, which doubled the size of the United States, comprises around 23% of current U.S. territory. The population of European immigrants was estimated to be 92,345 as of the 1810 census. If you happen to be a terrorist and drug syndicate money laundering operation. Last week’s big revelation on banking is that it is now official Department of Justice policy under Obama that big banks and their executives are above the law. HSBC was caught laundering money for both terrorists and drug dealers, and DOJ officials told the New York Times that they would not prosecute the bank under money laundering statutes, lest the financial system be destabilized. This was shocking, but consistent with policy made explicit by DOJ’s Head of Criminal Division Lanny Breuer back in September. One key question is why it is that Judiciary Chairman Patrick Leahy, a former prosecutor, is utterly unwilling to do any investigation or oversight into this critical policy question? Leahy runs the Judiciary Committee in the Senate, and it would be impossible to find a more obvious topic for that committee to address. It’s not that there isn’t interest in the Senate. Senator Chuck Grassley, a Republican, and Senator Jeff Merkley, a Democrat, both blasted Eric Holder for this decision. Eliot Spitzer is also outraged, and said that Breuer should be “gone tomorrow”. Matt Taibbi penned a diatribe. Rep. Brad Miller called for the big banks to be broken up (which is something Neil Barofsky argued was necessary in order to prosecute these banks in the interview I did with him a fw weeks ago). The rationale from the other side doesn’t hold water. The argument is that a guilty verdict would cause the bank to lose its charter, which means it could not operate in the United States. DOJ officials would not even bring a case under the bank secrecy act, which would carry a much less severe penalty. Even if we accept this rationale, there is still no reason not to prosecute the individuals at HSBC who helped launder this money. So at this point, it’s worthwhile to ask, when the US government has explicitly defied Congress’s will and put big bank executives above the law, where is Chairman of the Judiciary Committee Patrick Leahy? For the past week news has been exploding out of the London Inter Bank Offered Rate fraud. LIBOR is (supposedly) the interest rate a small group of very large London Banks charged each other for short term (overnight or 24 hour) loans to each other. This number was not constant from day to day or even from institution to institution, for instance Peter Bank might loan Paul Bank X amount at a rate of Y while John Bank might loan W amount at a rate of Z. Paul Bank might accept a loan from either Peter Bank or John Bank with no particular preference for the lowest cost and no actual transaction might take place at all. These ‘potential’ trades were reported to the British Bankers Association who sampled and normalized them to come up with a number, LIBOR, that allegedly represented the typical cost of money to the most credit worthy companies. Since all other companies were, by definition, less credit worthy their cost for borrowing was higher and frequently formalized in contracts for actual loans as LIBOR + some amount that represented how much less credit worthy (riskier) they were. But it doesn’t stop with loans, LIBOR + risk was used to value many other financial products including pretty fancy and complicated derivatives and foreign exchange transactions. The problem was that LIBOR was not only as entirely fictional as I am, but it was also thoroughly corrupt with the divisions of the Banks in charge of providing the data on which it was based co-operating to manipulate the value to benefit their own transactions in ways that are not obviously transparent. It’s easy to understand how in the dark days of the financial crisis Banks liked to pretend they were more solvent and credit worthy than they actually were, but it had been commonly calculated fraudulently for years before that. Some details of this practice are now emerging in a series of regulators’ reports, settlements, and (as unlikely as it seems) prosecutions. Bloomberg News pursued these documents through reporting and public information requests and published an article last week that attracted a lot of attention. It’s kind of long so I’ve excerpted a small portion below. The title is Secret Libor Transcripts Expose Trader Rate-Manipulation but the URL says “Rigged LIBOR With Police Nearby Shows Flaw Of Light Touch”. The “Police Nearby” simply refers to the fact that one of the most notorious trading desks where this crime occured happened to be very close to a police station. Of more significance is “Shows Flaw Of Light Touch” which is a regulatory strategy advocated by Alan Greenspan and other Chicago School economists who argued that actual government supervision of the operations of these very large Banks wasn’t necessary because honesty could be assumed since according to their now discredited theories there was no advantage in cheating. The shortest day, the longest night, for those of us who reside in the Northern climes Winter Solstice is here. The sun reaches is most Southern destiny and touches for but a moment, the Tropic of Capricorn and immediately reverses her course. That moment will occur on December 21 at 6:12 AM EST. the Oak King and the Holly King are seen as dual aspects of the Horned God. Each of these twin aspects rules for half the year, battles for the favor of the Goddess, and then retires to nurse his wounds for the next six months, until it is time for him to reign once more. The re-enactment of the battle is popular in some Wiccan rituals. As we prepare for the longest night, we decorate our homes with red, green and white, holly, ivy, evergreen and pine cones. We honor the solar year with light. We place candles in the windows facing the North, South, East and West to ward off the darkness and celebrate the return of the sun/ With the setting sun, fires are lit in hearths and fire pits and kept burning to keep us warm until Sol returns at dawn. There is food a plenty, roasts and stews and winter vegetables and sweets, chocolate and peppermint candy, apples and oranges and sweet breads. All these reminding us of the last harvest, the gifts of Gaia, Mother Earth and the hunts by Hern of the Wild Hunt. Of course there will be honeyed and spiced wine and hearty, dark beers, some made by friends who will join the festivities. What ever your beliefs, or none, may the traditions and celebrations bring you peace and joy. Blessed Be. The Wheel Turns. Barack Obama’s presidential legacy will most likely be that he was the Great Prevaricator. His plan has always been to protect the 1% and sell out the rest of us. So far he succeeded quite nicely, with just a few minor bumps in the road that were possibly preplanned. Everywhere you look, the media narrative is that President Obama is “capitulating” to Republicans by agreeing to cuts in Social Security benefits. And I have to ask, where is this collective political amnesia coming from? Obama has made a deliberate and concerted effort to cut Social Security benefits since the time he took office. FDL reported on February 12, 2009 that the White House was meeting behind closed doors to consider ways to cut Social Security benefits, and that the framework they were using was the Diamond-Orszag plan, which was co-authored by OMB Director Peter Orszag when he was at the Brookings Institute. In January of 2010, a bill sponsored by committed Social Security slashers Judd Gregg and Kent Conrad which would have created an official commission to make recommendations about the nation’s deficit was defeated by the Senate on a bipartisan vote – 22 Democrats and 24 Republicans voted no. The composition of the Commission was conveniently stacked with 14 of the 18 members committed deficit hawks looking to start balancing the federal budget on the backs of old people. And who supplied the staff to the commission? Why, Pete Peterson. The President has been very forthcoming about the fact that cutting Social Security benefits is something he wants to do. When he said during the debate that he didn’t differ from Mitt Romney on entitlement reform, he meant it. It’s time for people to remove the rose-colored glasses and stop projecting their own feelings on to the man. It’s time to take him at his word. This is what he has always wanted. Ignore it if you choose but the facts and Obama’s actions and words bear it out. For five years Obama repeatedly and unequivocal promised not the raise taxes by one penny on anyone making less than $250,000. He did so in ads, campaign stops, emails, and interviews. There is probably no other single policy proposal that was more central to both of Obama’s presidential campaigns. Millions likely voted for Obama based on this firm promise. Obama was not forced by some extraordinary unforeseen event to accept this tax increase. Obama include this middle class tax increase in his counter offer. Obama didn’t need to do this, he chose to do it. Right after Obama was re-elected, based on a promise not to raise taxes on the middle class, his first major action was to push for a middle class tax increase. This is a pathological level of dishonesty. The only thing more disturbing is the weak shoulder-shrugging response by most of the media to such a profound act of deception. So whether the Bush tax cuts expire on Dec 31 or the rate of inflation is calculated by the chained CPI, middle class taxes are going up and SS recipients will be eating cat food. There are those of us who knew this all along but everyone was focused on the prospects of a Democratic resurgence that would govern from the left. They were blinded by the bright shiny object that was this man who gave a great speech and had an attractive family. But he came from the roots of Chicago Democratic politics and had an agenda that really wasn’t so hidden. He just lied and everyone believed him even though the facts were right in front of them that Pres. Obama is a right wing, corporatist, Republican and has been flat out lying to us all. 1/2 cup canned cream of coconut available in the liquor department of most supermarkets. Combine 1/2 your sweet-and-sour mix, tequila, papaya and guava nectar, cream of coconut and ice cubes in blender. Process until blended. Repeat. Pour into 6 glasses. Garnish each with lime slice. Rest of the recipes below the fold.